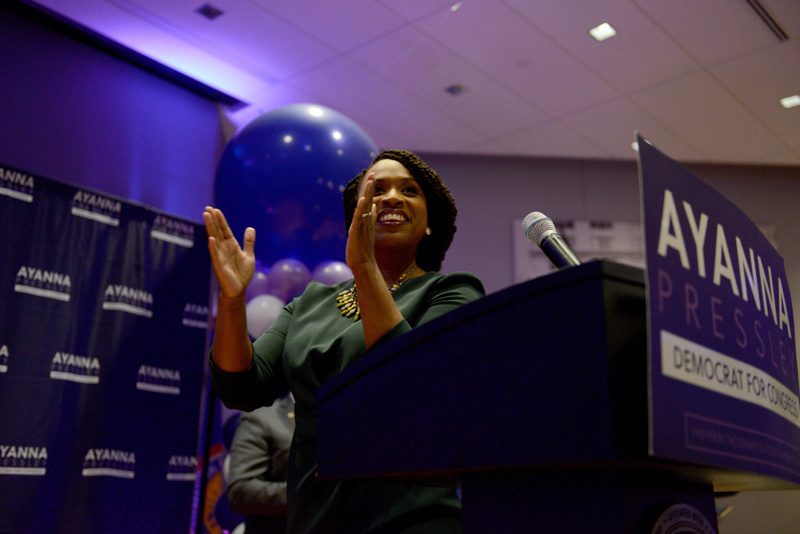 Boston City Councilor Ayanna Pressley greeted family, friends and supporters after beating Rep. Michael Capuano in the Democratic primary for Massachusetts' 7th Congressional District. Pressley's victory is indicative of the the broader success of female Democrats this election cycle. She joins a number of other black women who've won their primaries this year, including Stacey Abrams, who's running for governor in Georgia, Lauren Underwood, running for a congressional seat in Illinois, and Jahana Hayes, who's also running for a seat in Congress from Connecticut. The Democratic party has referred to African-American women as the backbone of the party, but in recent years, some black organizers have expressed frustration that the party has not invested in recruiting black candidates. Pressley's victory is a sign that organizers and activists are no longer willing to wait for the party's blessing. It's also a sign that issues of representation rather than ideology are motivating voters in Democratic primaries. Pressley was long considered the underdog. Her opponent seemed to have the money and the loyalty of a popular incumbent. 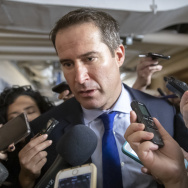 Plus, he had received the backing of local party officials, the Congressional Black Caucus PAC and even from Deval Patrick, the state's first African-American governor. "It seems like change is on the way," said Pressley to raucous applause at her election night party. "Ours was truly a people powered, grassroots campaign. ... that dared to do what Massachusetts Democrats aren't supposed to do." There is no Republican on the ballot in this Democratic bastion - an urban district that encompasses Boston, Cambridge and surrounding suburbs, much of the area once represented by a young John F. Kennedy, and now often called the "Kennedy seat." Capuano is only the second Democrat to lose a primary this midterm season, the first was New York Rep. Joe Crowley, who lost to Alexandria Ocasio-Cortez. And, similar to Crowley, he was quick to concede. "Ayanna Pressley is going to be a good congresswoman," he said.